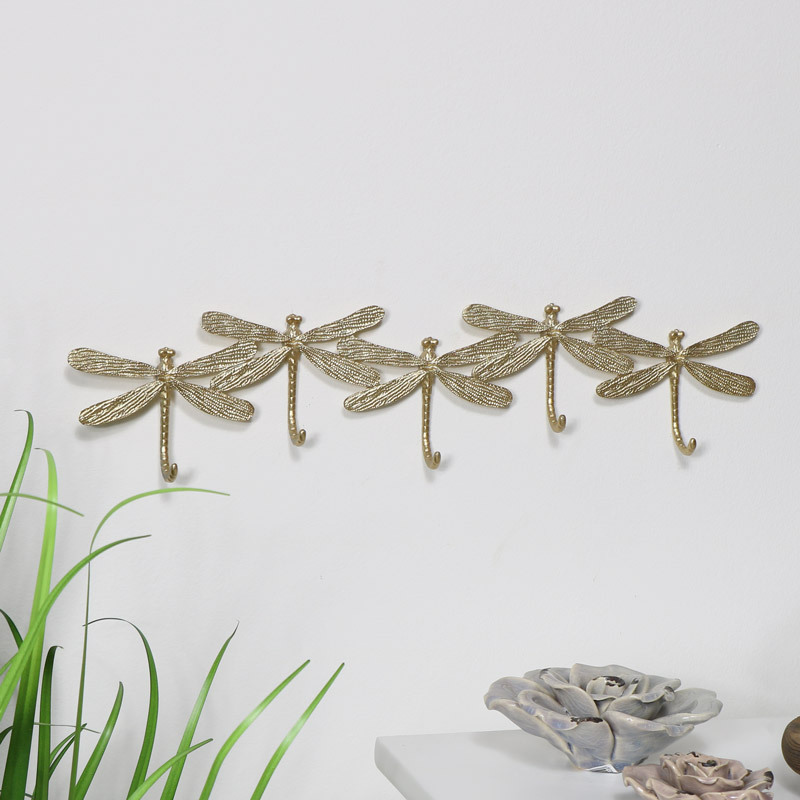 Pretty gold dragonfly wall hooks for hanging coats, keys or towels. Decorative nature inspired design. Ideal for using in the hallway, kitchen or bathroom. Five hooks offer planty of hanging space. With more wall available to choose from. Five dragonflies joined together with the tails forming 5 hooks. Pretty design that will stand out. 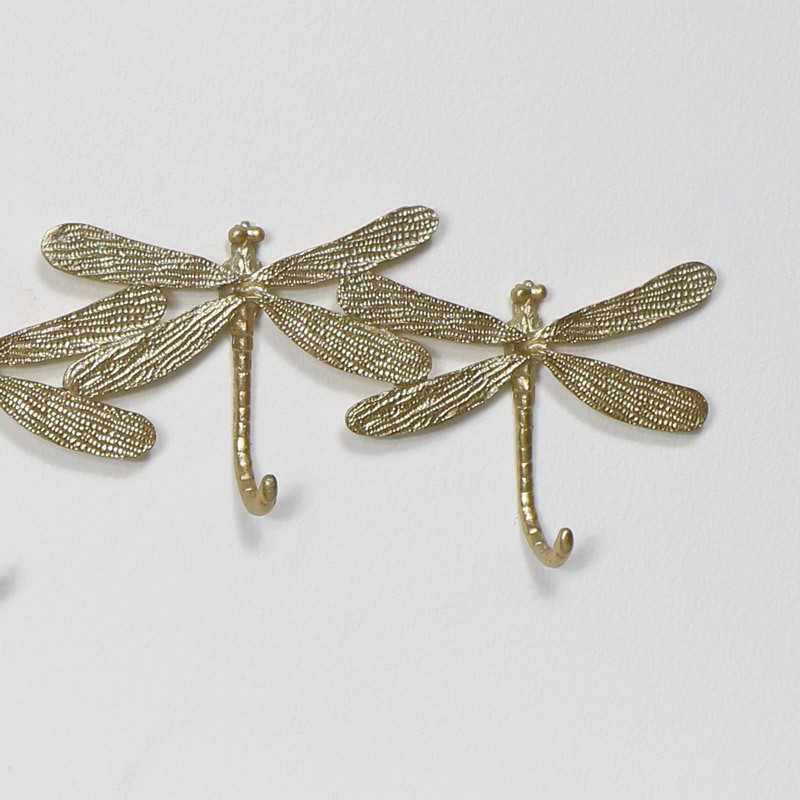 Pretty gold dragonfly wall hooks for hanging coats, keys or towels. Decorative nature inspired design. Ideal for using in the hallway, kitchen or bathroom. Five hooks offer planty of hanging space. With more wall available to choose from. Five dragonflies joined together with the tails forming 5 hooks. Pretty design that will stand out. Made from metal in a metallic gold finish. Easily wall mounted with holes on the back for hanging.